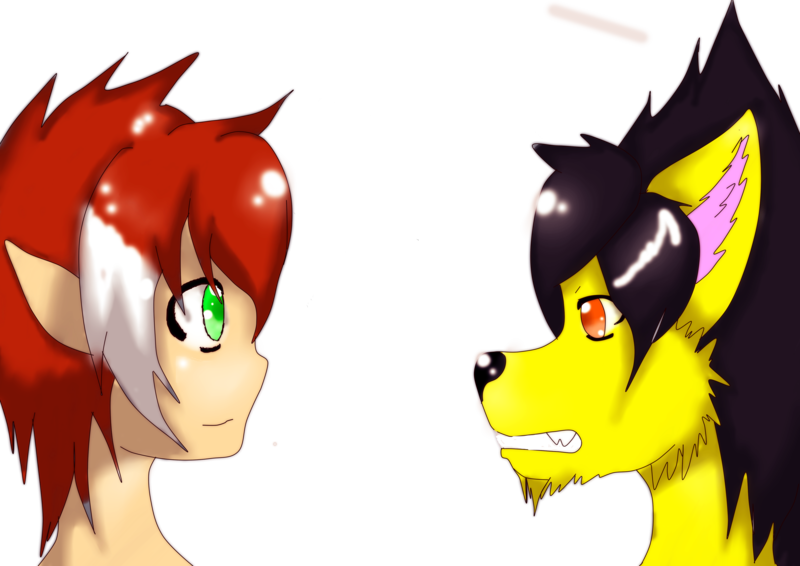 first time iv drawn them together digitally. it appears sunny isn't very fond of scones. not very fond of him at all. I did a non lined version of this that looked a whole lot different to my usual art...to be honest I may do some more like it.